This multi-purpose solution is formulated to kill infection causing bacteria and to aid the body”s natural healing process. 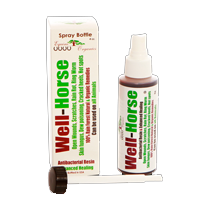 Has been effective in the treatment of common horse skin ailments such as cuts, scrapes, dermatitis (eczema), lick granulomas, hot spots, mange, skin rash, hives, ring rot, galling, lab ear, ringworm, scratches and other skin conditions. Also helps repair cracked and damaged hooves, keeps the frog soft and supple and may be used to treat thrush and white line disease. Should also be used by farriers to disinfect tools. Anyone who owns a horse knows that they need to be prepared for the eventuality of injuries, wounds and irritations. As a one-step immediate-acting product, it eliminates the need for multiple products while reducing the application time and requirements. Since it is ‘no-rinse’, it leaves no film or residue to clean off. 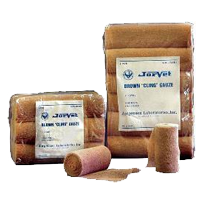 Vetericyn can be applied with spray irrigation systems, immersion, lavage and dressings, and is compatible with most gauzes and acrylics and can be used prior to application of other treatments. Unlike traditional antiseptics and topical antibiotics it does not damage healthy tissue. Finally, Vetericyn ‘tests free’ on competition animals as it contains no banned substances. Well-Horse regenerates tissue on wounds by promoting the formation of new collagen. 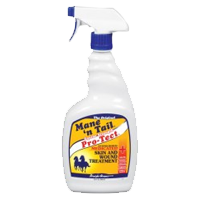 Well-Horse also kills fungal and bacterial micro-agents on contact , without burning or irritating the skin. Works very well and fast on Scratches , Dew poisoning , Rain rot , Ring worm , Poison oak , Poison Ivy and more. Well-Horse is Organic and non toxic if swallowed. (Great and safe to use with your children’s 4-H projects). 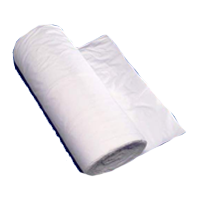 Soft and absorbent, non-sterile bleached cotton roll. Excellent texture for scrubbing or cleaning. Made of a durable rayon polyester formed 4-ply fabric. Absorbs 47% more than 12-ply gauze sponges and is less abrasive. 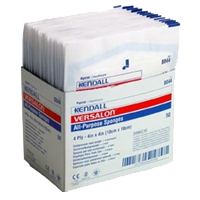 Kendall Versalon All-Purpose Sponges protect and cushion wounds for greater comfort. 6 times less lint than standard gauze. 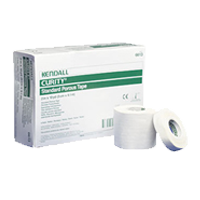 Kendall Standard Porous Tape is an economical tape with high tensile strength with linear porosity for maximum breathability. 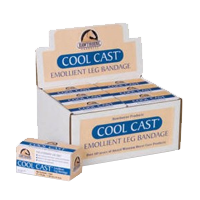 Cool-Cast aids in reducing arthritis pains in geriatric horses. 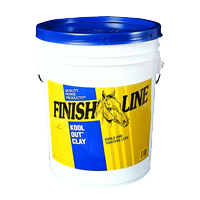 Unbeatable mild poultice with easy on-off application! 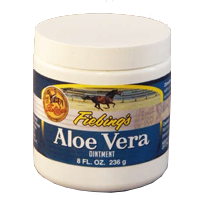 Mild enough for every day use and on horses with sensitive skin. 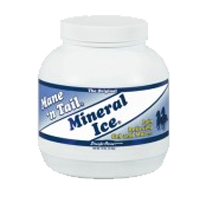 For use on legs and as hoof packing. Aids in temporary relief of minor stiffness and soreness due to overexertion. Brings soothing first aid protection for minor cuts, bruises and burns. Creamy and easy to apply. A must for any stable. Can be used as a therapeutic ‘cool down’ body wash or brace. Available in: 5 lb., 1 lb. Provides complete protection for skin and wound application. Highly effective, broad-spectrum antimicrobial spray. Kills a wide range of microorganisms including bacteria, yeast, mold, fungi and viruses. Effective against most opportunistic micro organisms associated with skin problems. Deep penetrating formula for effective action. Conditions skin and coat to speed healing without burning or irritation. Available in: 32 oz., 4 oz. 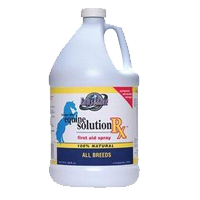 For use in the treatment of topical bacterial infections of large animals susceptible to Nitrofurazone. Wet Dressing – Dilute with 2 – 3 parts of water or saline and apply several times daily as a wet dressing. Dry Dressing – Clean area with soap and water. Apply ointment directly to the affected area. 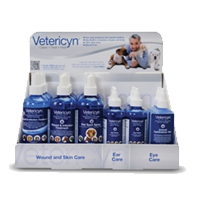 For deep wounds or body cavities, use only as directed by a veterinarian. If redness, irritation or swelling persists, consult a veterinarian. ALUSPRAY is recommended as a protective barrier against external irritant agents in small and large animals. • This product is not for use on open wounds. Avoid spraying in the animal’s eyes. This product stains. Avoid contact with hands and clothes. 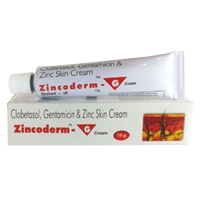 A soothing cream for topical application. A mild astringent and protective in skin diseases. 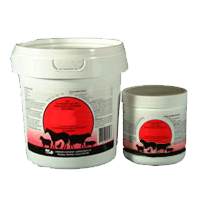 Indicated as an aid in the treatment of moist eczema and abrasions such as chapped teats or where a soothing, healing effect is desired in cattle and horses. Are self-adhesive; no clips or fasteners needed. Maintains consistent compression with nonslip support. 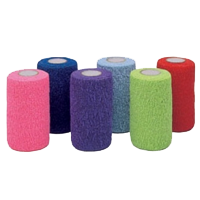 Applied properly, Co-Flex is an excellent pressure bandage that won’t cut off circulation. Thin, lightweight and porous, this nonirritating wrap allows skin to breathe while the wound heals. Comfortably adapts to the most difficult body contours. Absorbs energy shocks from strenuous activity and retains its tensile strength longer than cotton bandages.